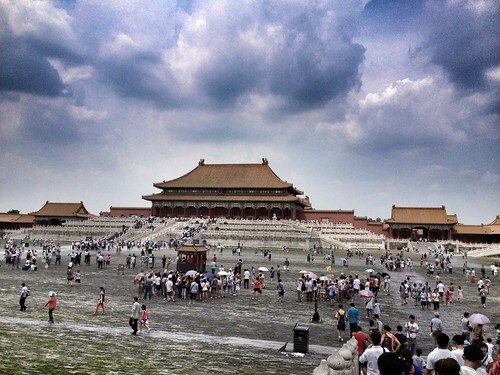 Went to check out the Forbidden City and whoa........ the place is damn freaking big!! 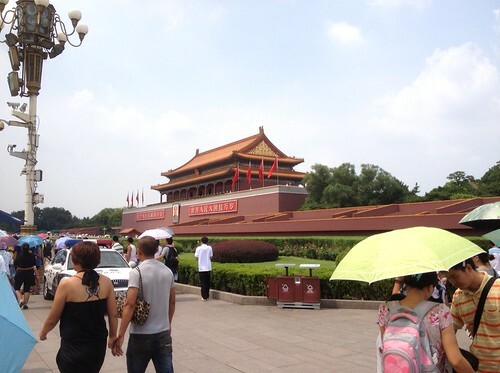 The entrance fee was RMB 60.00 (peak season) and I added another RMB 20.00 (for Mandarin narration. RMB 40.00 for foreign language e.g. English) for the headset that tells you the story as you walk around the place. The device has some sort of the location device which will playback the story relevant to where you are. I made the mistake of heading there after lunch as I didn't have enough time to complete the entire city. Will have to go there again to complete the tour. I was blessed with great weather and I expected a shitload of people but fortunately, it wasn't that bad as perhaps I was mentally prepared for the worst. Security was tight as there were cameras everywhere and there was a security checkpoint prior to the entire to sieve out suspicious characters. 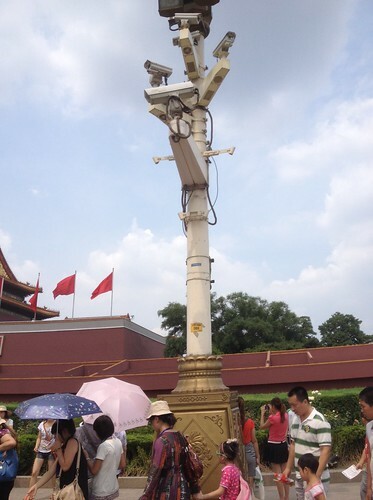 Despite the overwhelming presence of "Big Brother", I felt safe ironically. 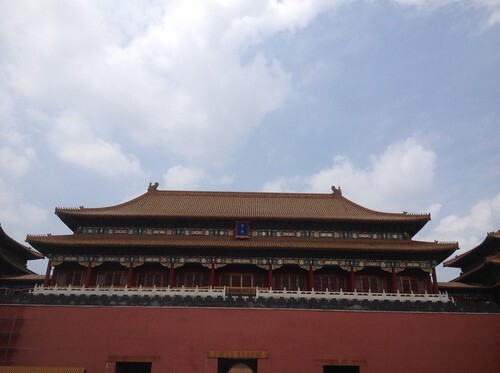 This is 午门 which I reached after a rather length walk though the main entrance in the earlier picture. Just when I thought I reach the inside of the city, I realised this was only the South entrance. I can imagine any officials reaching this gate thinking they finally reach their destination but nooo..... the emperor is still a long journey ahead. Must be really sian half to find out at this stage that you are not even half way there. Yeah. This place is THAT freaking big. This caught my eye. 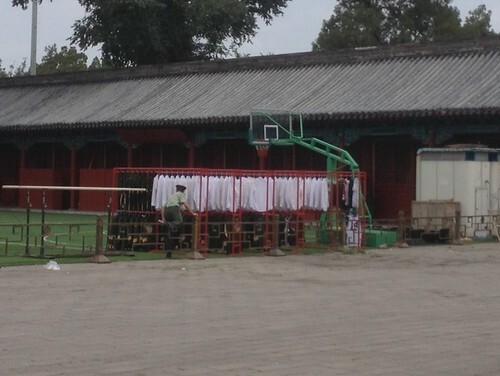 Fresh laundry belonging to the military guards, all nicely and orderly arranged. More photos after I visit it again soon.